Heading for Cape Town and need a stopover? 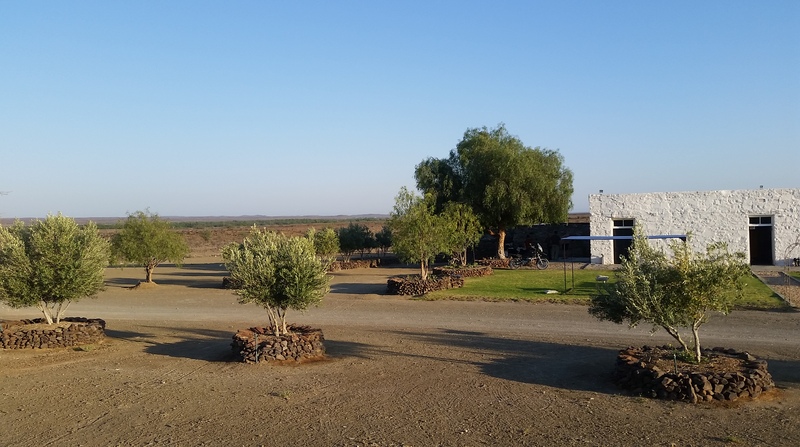 Some four hours from Cape Town on the N1, and 33 km from Prince Albert, is a farm destination that is literally an oasis in a wonderfully barren wilderness: Abrahamskraal Guest Farm. Keep an eye open for the R353 – it is a gravel road 18 km on the Cape-Town side of Leeu Gamka. 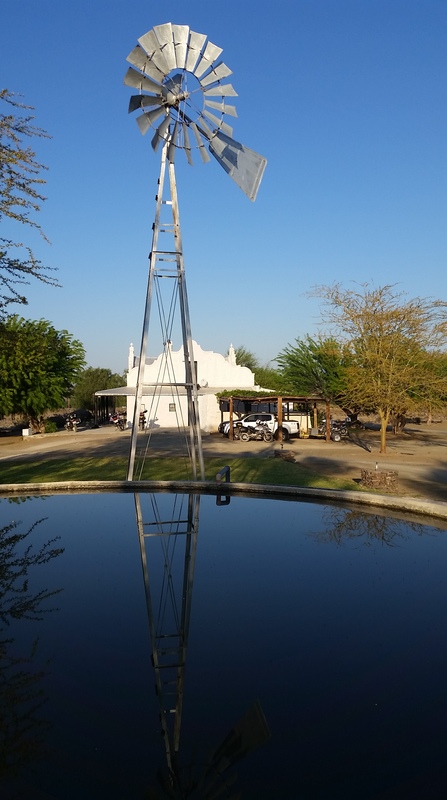 The actual farm lies 10 km from the national road (33 km from Prince Albert), is a working sheep farm, popular as a guest farm and function venue, and a favourite stop for mountain bikers. It’s also an unpaved gravel road, on which you cross the railway line, and travel about 10 km towards Prince Albert. You will see the gateway to Abrahamskraal on the left-hand side of the road. The guest house dominates the farm, and is surrounded by many big, green peppercorn trees, green-barked fever trees, and kameeldoring trees. 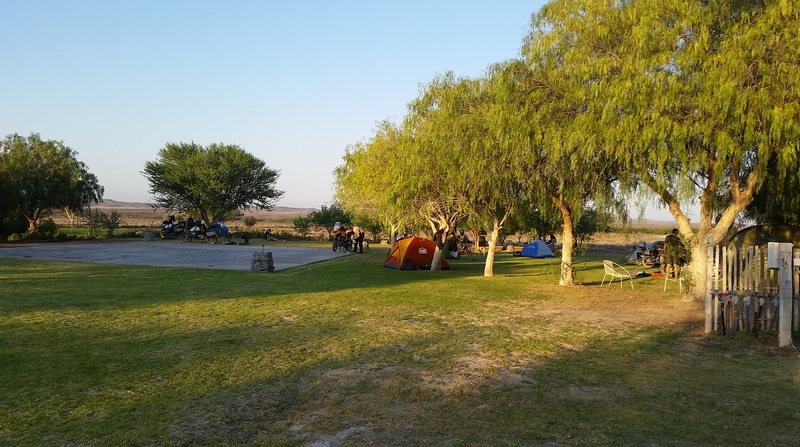 The campsite is well-grassed and flat, and there is a big cement slab in the centre that is used as a dance floor whenever the facility is used as a wedding venue. 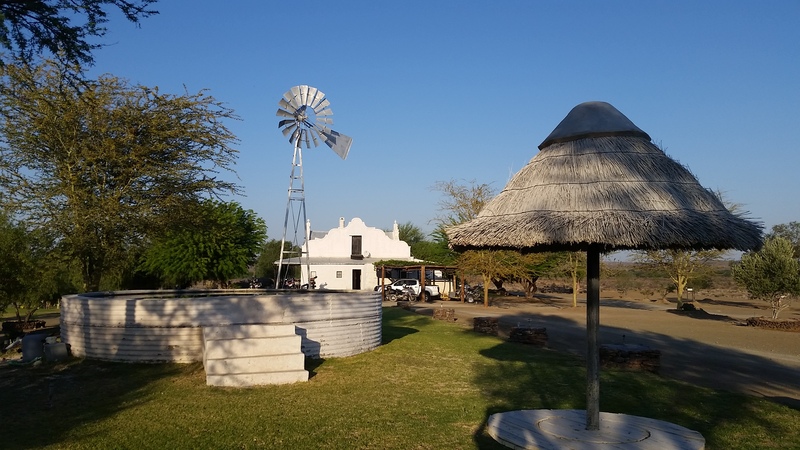 For the use of kids and adults alike, there is a farm dam that stands above the ground: the type that was once surrounded by corrugated iron and filled with clear borehole water. A dip in that is very refreshing as a respite from the midday heat of the Karoo. It’s a great place to chill or cool off after a morning cycle or a stroll on the farm. Owners Johan and wife Hestie are such nice people – and if you don’t feel like cooking, Hettie will do this for you, and you won’t be disappointed! 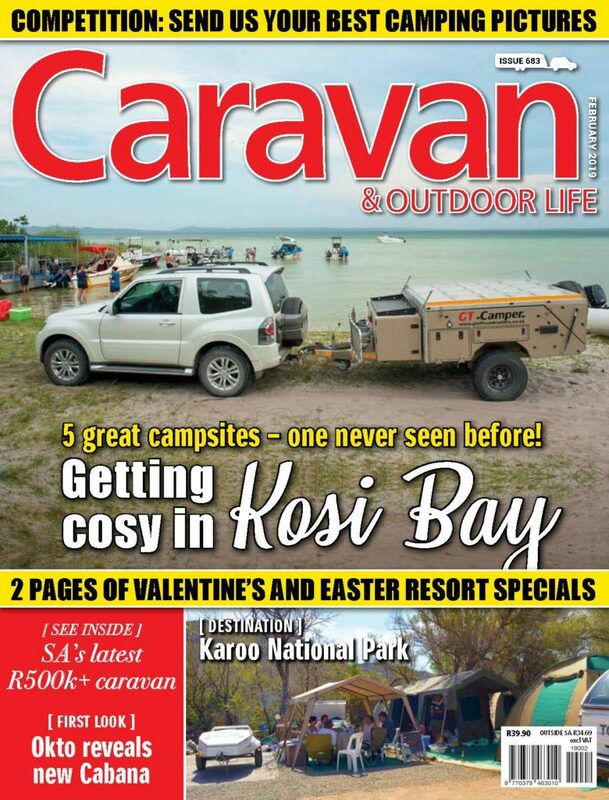 Camping is R75 a night. There is a clean ablution block, but you may want to have your own fresh drinking water if you are not used to the taste of borehole water. Remember, this is a working farm with Damara sheep and Kudu, said to be so plentiful that they are a nuisance! And you want to taste a good chop? Johan ages his meat for up to seven days – it is the most tender chop you will ever enjoy! Prince Albert is close by, and is the gateway to some fantastic holiday visuals. The town itself is rather quaint, being home to many an artist and to equally creative shops, not to mention restaurants. There is even a bush pub. Best of all, it’s the start of the magnificent Swartberg Pass, which leaves one in awe, and trying to guess where on earth the road may be going as it winds through the buttresses of twisty rock that are bent and stacked in a multitude of shapes and designs by the forces of nature. They just don’t make mountain passes like this anymore. Stop alongside the crystal-clear stream and find out what water really tastes like, and listen to the birds. And, of course, to the sound of silence. Feel like an interesting drive? Then take this winding pass to almost the top, turn right, and enjoy one of the most exciting drives down to Gamkaskloof − otherwise known as Die Hel. Pack a picnic lunch – it will be a day to remember! We met a motorcyclist who had been camping there but who’d had the misfortune of having a big female kudu leap from behind a bush onto his motorbike. He was lucky, but his adventure-motorbike was no longer rideable. Always keep an eye open! The farm also offers a meditation program (by arrangement). It’s called Abrahamskraal Silent Retreat, and is a program that offers a chance to listen to silence and refresh your thoughts. The program also offers coaching sessions, massage, yoga, meditation, and wholesome food – three home-cooked meals with locally-sourced products. You’ll need to phone beforehand to arrange this. 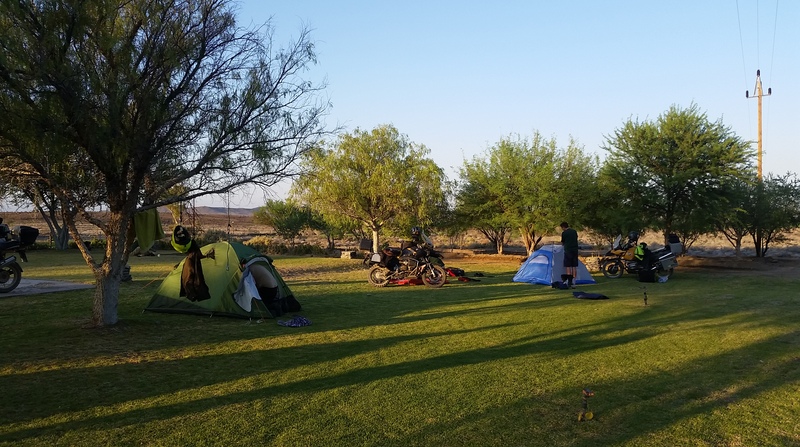 Abrahamskraal is farm camping at its best. It does not have electrical power points, but if you need one, ask Hestie, or Johan as he rides by on his bicycle to inspect his sheep camps, and they will lend you a long-lead power cable. In the words of Arnold Schwarzenegger – I’ll be back! 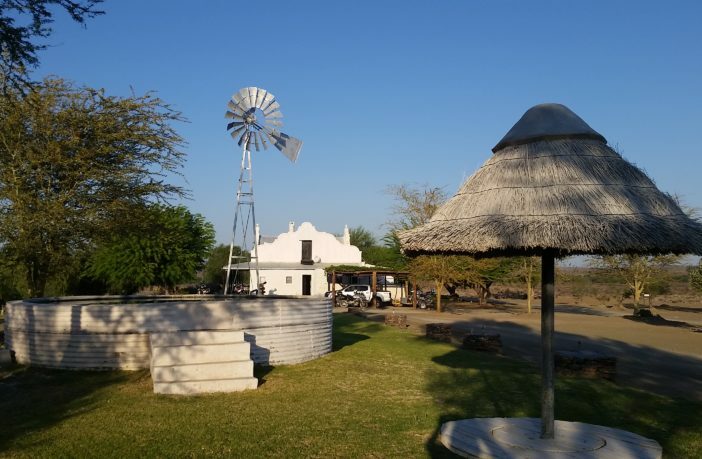 To make a booking at Abrahamskraal, fill out the contact form below.